Welcome to winter, one of the best seasons for gardeners. You have time to plan, prune, and enjoy those houseplants that don’t get much love during the outdoor growing season. Make the most of your winter gardening with these dos and don’ts from Chicago Botanic Garden experts. DO prune your deciduous trees. From mid-November to mid-March, it’s much easier to prune because you’ll be able to better see a tree’s branching structure and there is less chance of transmitting diseases from one plant to another. 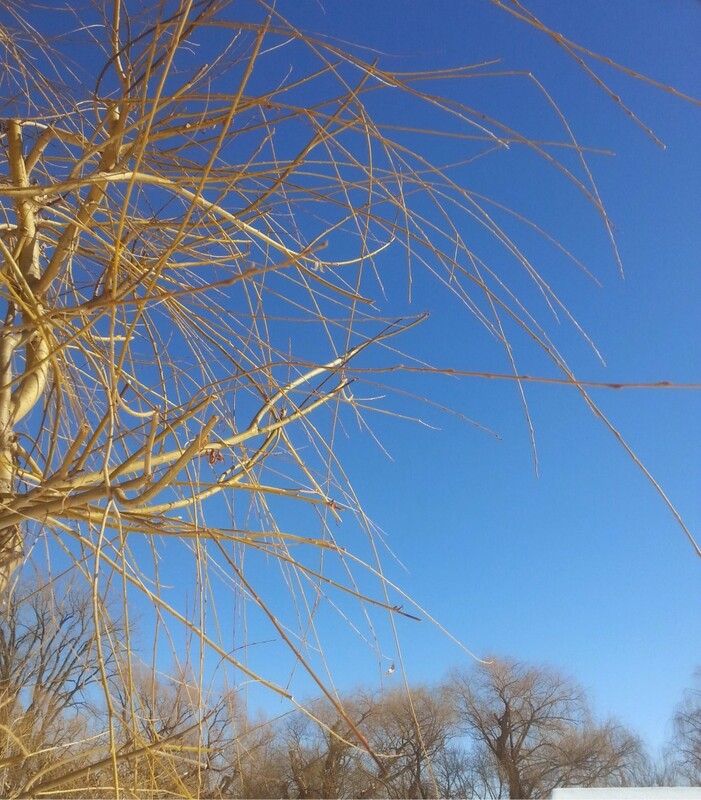 Winter is the perfect time to prune deciduous trees or remove nuisance buckthorn. DON’T prune conifers. 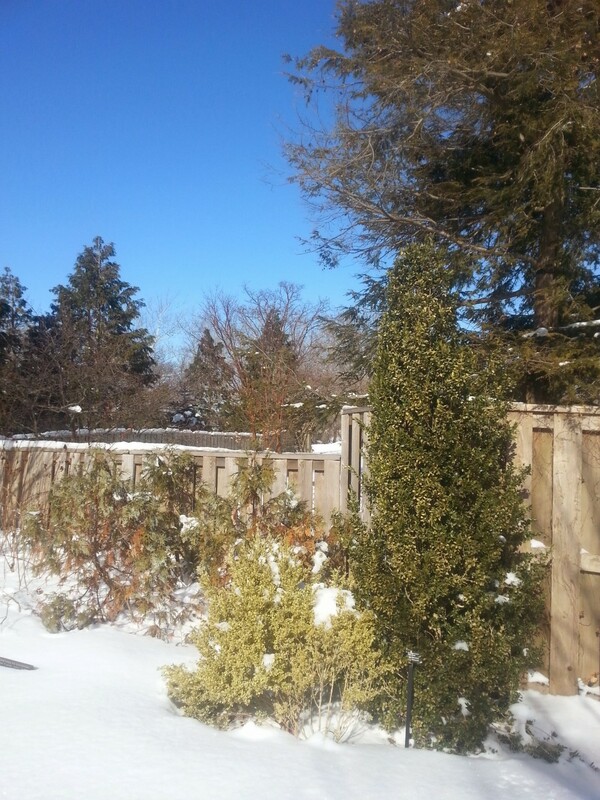 Needled evergreens can be pruned in late winter or early spring, before growth begins. Arborvitae should be pruned during spring and early summer. DO water newly planted trees and shrubs that might be in the path of salt spray from salted roads during periods of winter thaw. Consider wrapping vulnerable trees to prevent damage from salt and extreme temperatures. DON’T overwater houseplants. Because of shorter days and reduced humidity, most houseplants aren’t in an active growth phase, so they’ll require less water and fertilizer. DO keep houseplants away from cold drafts, radiators, hot air vents, and cold windows. Plants growing in sunny east- or north-facing windows may benefit from being moved to a southern or western exposure for winter. DON’T try to remove ice or snow that has frozen onto your outdoor plants. You might inadvertently damage them. Let it melt off on its own. DO start to plan your garden for the new year. 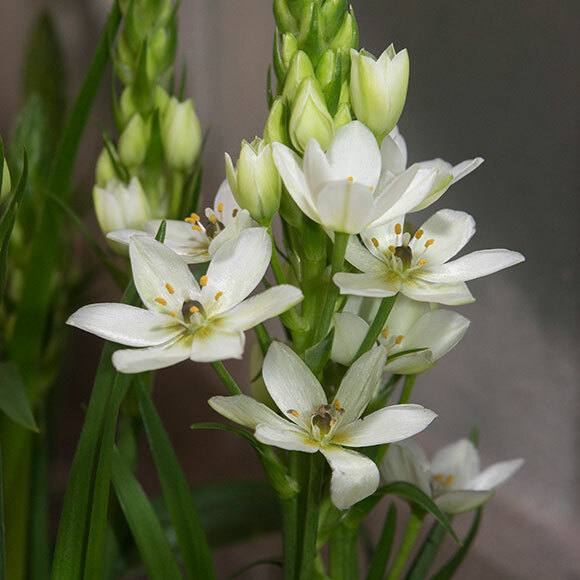 Order seeds and bulbs during the winter so you’ll be ready to plant in the spring. Need some help? Come to Super Seed Weekend on January 27 and 28 to talk to experts, attend a workshop, and find seeds and bulbs for your garden. Get more indoor and outdoor plant care tips with our monthly plant care checklists. Plan for spring with a class in Front Yard Design, Backyard Design, Growing Salads Indoors, or Small Space Food Gardens. If you’ve been around Chicago in the past month, you’ve probably noticed the sort of weather we’ve been having. 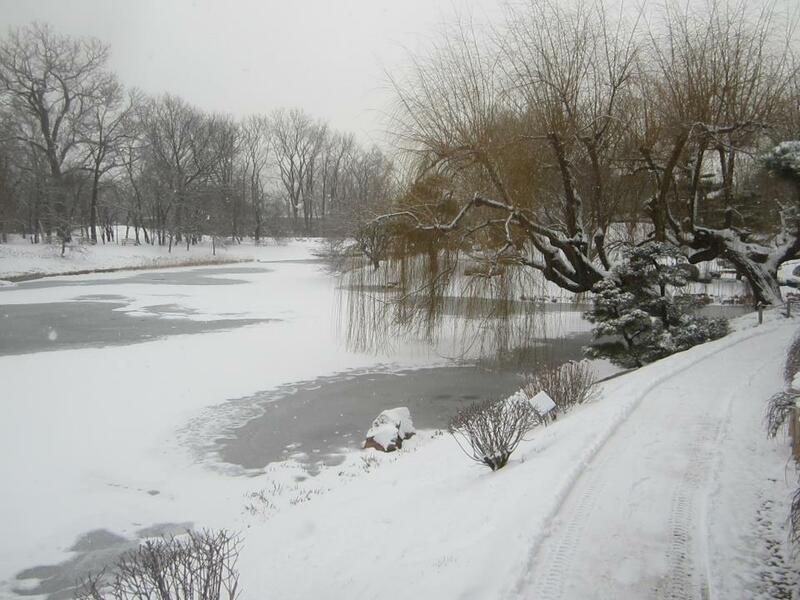 Snow covers the grass of the Elizabeth Hubert Malott Japanese Garden in 2013. This protected grass can expect good growth in spring. You may even be bitterly cursing the snow and hoping winter will end, cheering this week’s thaw and higher temperatures. What you might not know is that all this snow has a number of benefits that will help your garden and landscape later this spring. The fruit of eastern wahoo (Euonymous atropurpureus) creates a striking contrast against the snow. Snow is a great insulator! As winter presses on, the ground freezes deeper and deeper. This prolonged cold soil can damage roots over time. Snow helps create a blanket that reduces freezing of the soil. Warmer soil keeps microbes more active, which helps break down any plant waste that is in the soil, releasing nutrients. As a result of this insulation, your plants will have a much better start in spring! Snow brings an important nutrient into the soil: nitrogen. There are not many ways for nitrogen to enter the soil. While planting legumes and adding fertilizer are the most common ways we add nitrogen to soil, the weather provides nitrogen as well! Nitrogen is abundant in the atmosphere and is most easily collected by falling snow. As the snow melts, it deposits the nitrogen into the ground. (Apple trees and other plants benefit greatly from nitrogen deposited by snow.) When the ground is soft, plowing the snow into the soil will give the greatest benefit. Snow is sometimes called the poor man’s fertilizer. The yellow whips of this willow make an excellent contrast to the snow in most landscapes. Don’t forget, snow is water! 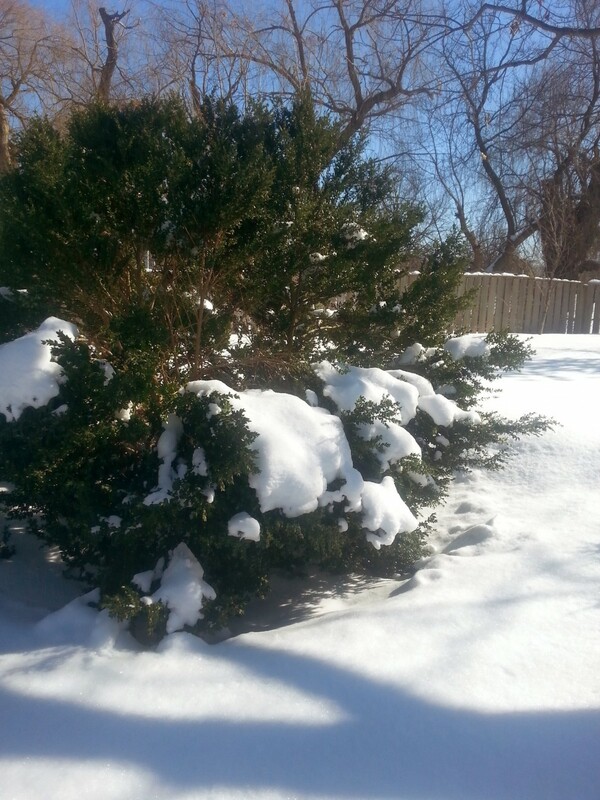 When snow melts, it provides moisture for evergreen trees and shrubs. This moisture helps keep these plants happy and healthy throughout the winter. 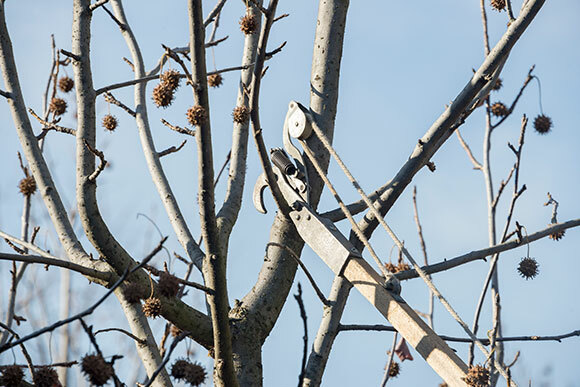 You won’t see damage right away, but a few years of snow-free winters can cause health problems in your trees. Last but not least, snow can be very attractive in a landscape. Snow makes plants with ornamental fruit, flowers, and bark stand out in the winter landscape. Plants like holly, ornamental grasses, euonymus, crabapples, roses, birches, ghost bramble, striped maple, dogwoods, willows, hazels, winter hazels, and witch hazels are only a few of many very attractive plants for a winter landscape. Dogwoods and willow varieties often will have young growth that is orange, yellow, or red. These same colors appear in the fruit of euonymus, crabapples, roses, and holly. Look for varieties that will complement your landscape. If you find that snow is weighing down branches in your landscape and disfiguring the appearance of your shrubs or young trees, brush off the snow regularly and prune in the spring to remove any dead or broken branches. Evergreen trees and shrubs like boxwoods and hemlock need water through the winter to stay healthy. Boxwoods are prone to damage from heavy snows. Minimize damage by removing snow as soon as possible from the branches. When the snow melts, check your trees and shrubs for damage near the trunk of the plant. Rodents, particularly voles, take advantage of winter snow cover and feed more aggressively on tender bark of young trees. If your lawn has developed paths of dead grass from these garden pests, rake affected areas of the lawn, apply a light application of fertilizer and seed the affected areas if damage is severe. While many of us are hoping for an end to this winter, this abundance of snow is promising us a great spring!